Lutein is found to be concentrated in the macula, a small area of the retina responsible for central vision. Lutein helps keep the eyes safe from oxidative stress and the high-energy photons of blue light. Various research studies have shown that a direct relationship exists between lutein intake and pigmentation in the eye. 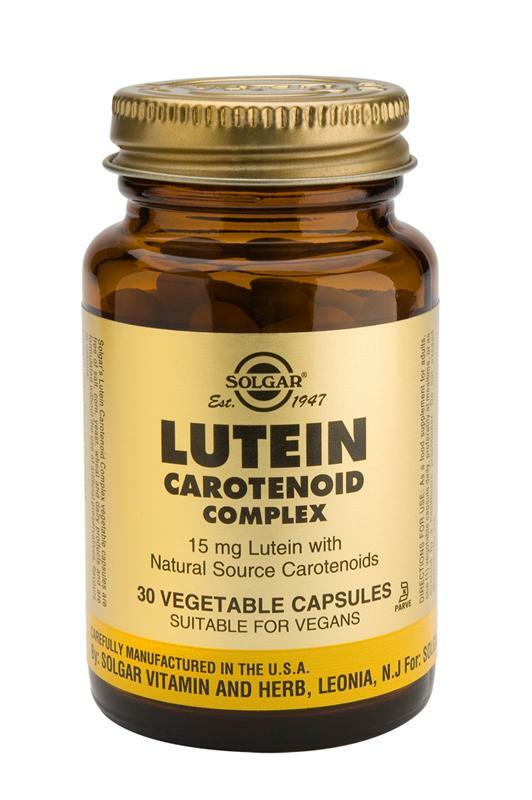 Lutein Carotenoid Complex Vegetable Capsules is one of Solgar's premium-quality carotenoids.